Simple Collector is an Android application that uses nextgis.com Web GIS for field data collection. Simple Collector provides simpler workflow than Formbuilder + NextGIS Mobile at the expense of flexibility. Simple Collector is super easy to use by surveyors and requires just a little bit a set up. Mobile app is freely available on Google Play. 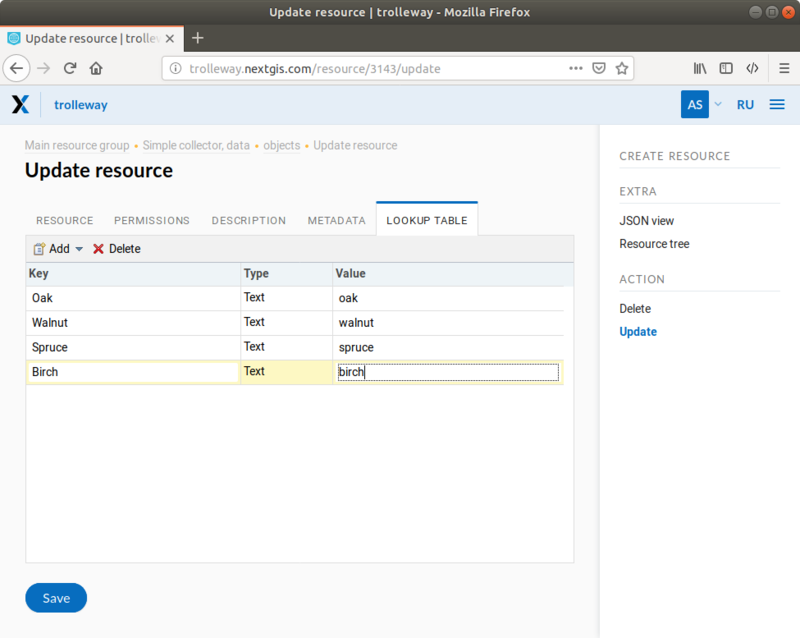 Configuration of data structure can be done via Web browser at your nextgis.com instance. Surveyor just needs to install and app, fill Web GIS name, login and password. Mobile app automatically syncs data with your Web GIS. In case there is no internet access, device reboot, or pause in surveying - data will not be lost. It will be sent to the server when connectivity is restored. Data structure is as simple as possible: only points with coordinates, surveyor id, type of object and some additional fields. No long hard to analyze sets of fields. Only machine-readable data that can be processed using GIS methods. 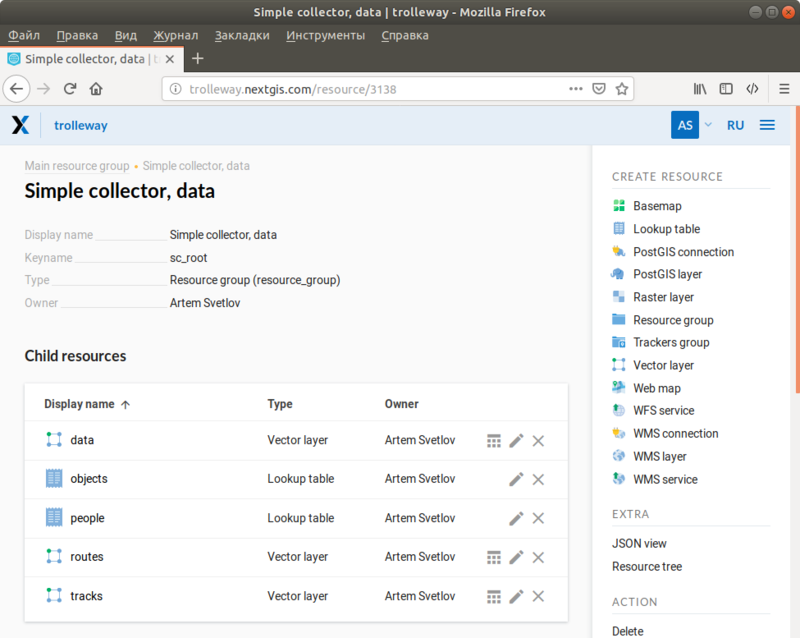 Get access to Simple Collector for you nextgis.com account. Download NextGIS Simple Collector from Google Play. Start NextGIS Simple Collector, provide Web GIS name, login and password. Mobile application will initialize data structure in you Web GIS. Open Web GIS in your Web browser. A new group “ Simple collector, data” will appear in the root folder. Add surveyors. Go to “People” lookup table → Update, add field crew. 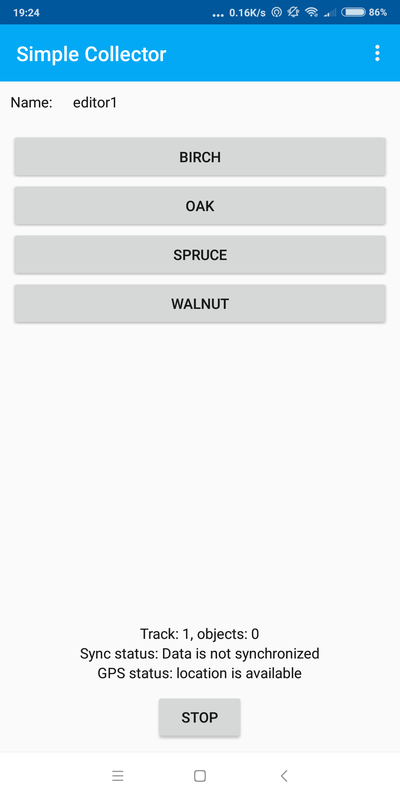 Add surveyed “objects” list. Each object will be shown as a button for surveyor. Go to “objects’ lookup table → Update, and add record with browser. At your mobile device, click “Synchronize”. Your simple form will appear. Ask surveyors to install Simple Collector. Let them know Web GIS name, login and password. Create of multiple users in WEB Gis avaible at high tarifs. On simple tariff you can provide ownself login and password, but any surveyor can delete any data using web browser. Download NextGIS Simple collector on Google Play. You will see a list of surveyors. Select one. You can hit “Synchronize” to see the latest changes to the structure. Go outside, hit “Start track” and then use buttons on the form to collect data. Data will added as a Web GIS vector layer. You can download in as a GeoJSON or CSV in EPSG:3857 coordinate system. 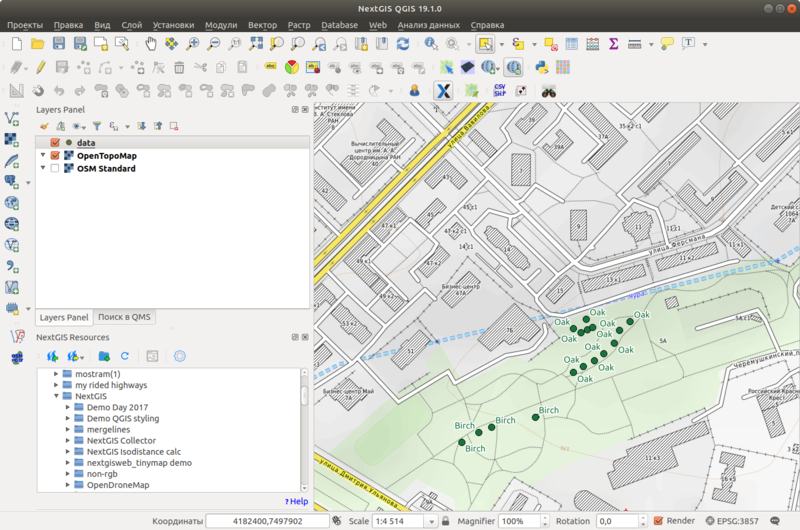 Easier workflow: start desktop software NextGIS QGIS, connect to your Web GIS using NextGIS Connect plugin, and download layer right in your GIS. 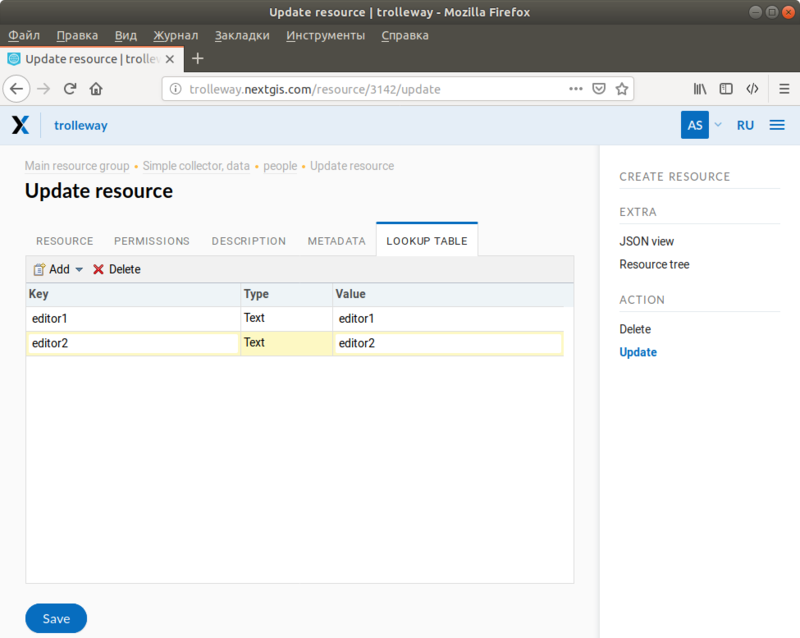 Message “initialization error” may occur if you login to different Web GIS (for example login to trolleway.nextgis.com and then login to mostram.nextgis.com) or to the same Web GIS using different accounts. 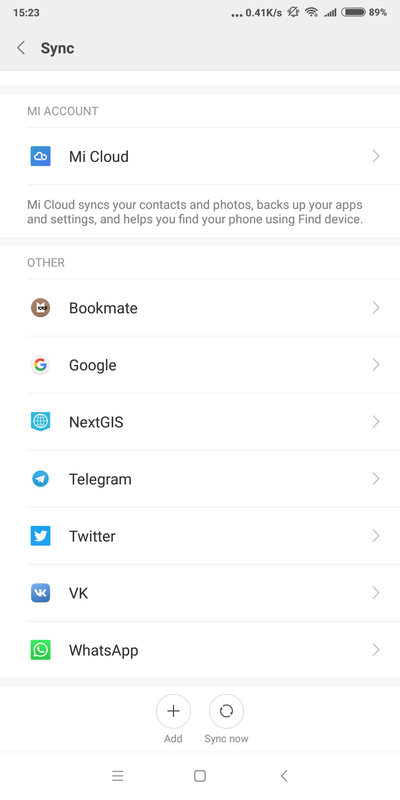 If this happens go to Android system settings –> Account and find settings for NextGIS Simple collector, remove old accounts.